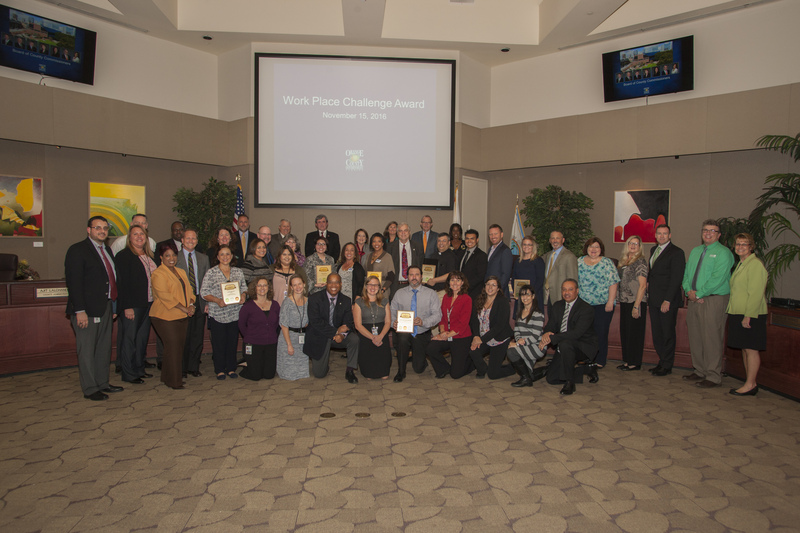 The 2016 Central Florida Workplace Challenge asked organizations to look at how they do business and document ways that they incorporate environmentally responsible, employee friendly or community service activities in their day-to-day work. The Challenge was organized by Green Destination Orlando with support from the City of Orlando, the City of Winter Park and Orange County Government. The challenge was launched at Mayor Jacobs’ 2016 Economic Summit on Jan. 21 and ended on June 30. In August, all of the participants were recognized and a few received awards based on the number of points they scored during the challenge. During the event, several businesses spontaneously stood up, one by one, and shared stories of how competing in the challenge benefitted their workplace. In total, 15 awards were given to recognize Green, Healthy, and Involved workplaces that serve as shining examples to our community. St. Johns Evangelical Lutheran Church received one of the Green awards for installing an energy efficient roof on the church, organizing a drive that collected more than 900 pounds of electronics waste and used grant money from Whole Foods to start a community garden. TLC Engineering and Architecture received an Involved Workplace Award because they provided pro-bono services for Ronald McDonald House and Pet Rescue by Judy, and encouraged all 11 offices to volunteer and participate in U.S. Green Building Council’s Green Apple Day of Service. Faiella and Gulden, P.A. earned the Healthy Workplace Award for providing Fitbits to all employees, as well as cash bonuses to all employees who participated in their office fitness challenge.